CLEW talks to Luxembourgers abroad. 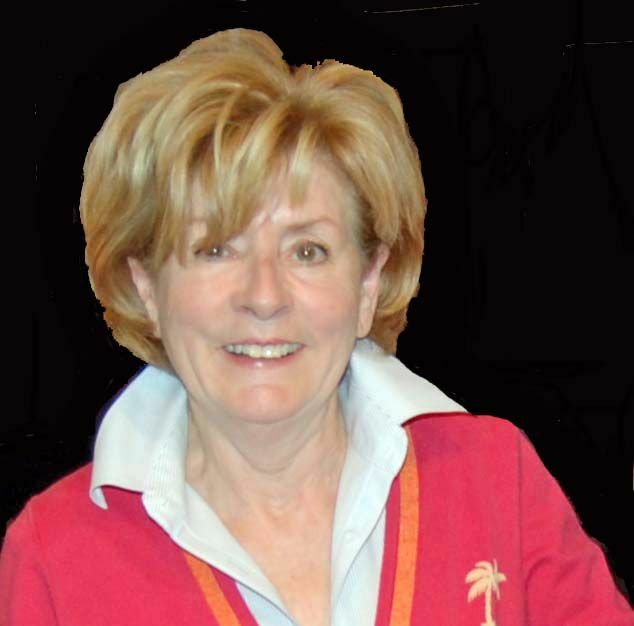 Meet Fernande Hastert Kuykendall, Honorary Consul to Luxembourg in the state of Arizona, U.S.
1. When did you move away from Luxembourg, whereto and why? I moved to California in November 1969, after marrying my American husband whom I met at the American Embassy in Luxembourg. After 10 years of living in Southern California as Mickey Mouse’s neighbor, his career in international business sent us globetrotting. We moved to Singapore, making me a “double expat” and I obtained my U.S. citizenship while living there. Upon returning to the U.S., our first pit-stop was Seattle, Washington, on to Salt Lake City, Utah, and St. Louis, Missouri, until settling in Scottsdale, Arizona, in 2000. There were several “lesser” moves, a total of 23 in about 30 years. 2. What do you miss the most and the least from Luxembourg? My mother, Alice Hastert, age 96, has Alzheimer’s. She hasn’t recognized me in years but I miss her terribly, especially since my father passed in 2008. I have no siblings to check on her. She receives great care at Hospice Civil Hamm, but I worry about her constantly. Arizona offers nearly 300 days of sunshine per year, so I definitely do not miss Luxembourg’s weather. As the saying goes “a climate only wild boars and Luxembourgers can tolerate”. 3. What do you appreciate most and least about your new country? The U.S. lifestyle is far more relaxed and opportunities abound. Anyone can make it here; all it takes is dedication and hard work. I became a wildlife advocate and freelance writer in my late 50s, combining 2 passions. I was appointed Honorary Consul of Luxembourg in my late 60s. America still is the land of opportunities and the World is my oyster here. I only wish public transportation was more readily available to lessen heavy freeway traffic. I would enjoy walking to a neighborhood farmer’s market to shop for fresh produce rather than having to drive to the supermarket. 4. What was the biggest challenge / change for you moving to a different country? The biggest challenge moving to the U.S. was the geographical distance. It was difficult to leave my parents behind since I have no siblings. The biggest change was spending Christmas at the swimming pool, but… no problem with that! The only drawback: no one seems to know what a Riesling Paschteit is in Arizona. The mere mention of it makes me salivate. Am I permitted to mention pâtissiers and traiteurs, Oberweis, Kaempff-Kohler, and Namur, or would that be considered “Schleichwerbung”? 5. How often do you come back to Luxembourg and have you considered coming back for good? I visit my mother in Luxembourg as often as I can, and actually booked my flight and made hotel reservations just this morning since her health is declining. After nearly 45 years, moving back to Luxembourg for good is not an option. I am no longer the city slicker of my youth and enjoy the serenity and breathtaking beauty of the Sonora desert. Privileged to have lived on 3 continents, several countries, and multiple U.S. States, I cannot picture myself living anywhere else but here. 6. In what other ways do you keep in touch with Luxembourg? As Honorary Consul of Luxembourg to the Grand Canyon State of Arizona, I keep in touch with Luxembourg on a daily basis, professionally and on a personal level with family and friends, by phone, via Skype, email, or social media. I keep in close contact with others of Luxembourg descent in the U.S. and I am a member of the Luxembourg American Cultural Society in Belgium, Wisconsin. I also interact with the 60some Luxembourgers I have “found” so far in Arizona. I “collect” them and each new compatriot / constituent I come across is a welcome new addition to the roster. 7. A shout out to (somebody in) Luxembourg? A big shout out to all Luxembourg fans of the Consulate’s Facebook page. « Am I going to have a heart attack doctor? ?